We only had three this month but it sure was a Barn Burner. You all did a great job and stayed active all month keeping us all entertained through the whole thing. Help me congratulate @HCodi on his well deserved win !!!!!!!!!!! BikerPepe`, allcruisen, Ziggy and 8 others like this. Last edited by Quader1; 02-01-2019 at 12:15 PM. Wow! what a great way to wake up! This really has been an exhilarating competition! Thank you so much everybody for all the support and votes. I really wasn’t expecting this. To be honest, I almost gave up a couple of days ago, but something kept me going just like with my build. And I am glad I did. Thank you @BigBlue 94 @MS88Bronc @Frank Lanzisera @allcruisen @White Dragon @Quader1 @1985 Bronco and everybody else for all your comments and support. And thank you @96bronco and @thequietman for being such great competitors. You have great stories behind your trucks and I am honored to share mine alongside yours. And finally, thank you @Ziggy for the numerous hours you spent helping me and the invaluable lessons learnt. BikerPepe`, allcruisen, 96bronco and 5 others like this. 96bronco, thequietman and HCodi like this. Congratulations to @HCodi on your FOTM Win. This months competition turned out pretty dog gone good,,, Fine Rigs All. Bronco Info: 1992 Eddie Bauer 351, all stock. It was a great job by both you guys, congrats Codi. You've both given me a lot more interest in my own Bronco. It was a great job by all 3 involved! I'm a big fan of all 3 rigs, and the stories behind them were great! Honestly, it's much easier being on this side (observing) the competition than participating in it. Until you've done one, you really have no idea how much work it is to keep your writing momentum going for a month. Observers just get to sit back and eat popcorn, enjoying the show. So yeah... great job done by all and your efforts are appreciated as much as your Broncos are admired! @HCodi - Congrats!!! You have an awesome truck & I love your enthusiasm and efforts! I told you in a PM that I'm still interested in adding a 2nd Bronco to my home, and I'd love to have a '78-9 like yours! @96bronco - Great truck! I wanted an EB in those colors so bad back in the late 90s! Your history with it is awesome & I wish I had bought one back then & enjoyed it for so long as a daily, instead of flipping through a bunch of other vehicles. It probably would have been cheaper! BTW, as an Eagle myself (& son of an Eagle), a big thumbs up for your efforts with BSA! I wish my son had been interested in being a Scout, but he wasn't. @thequietman - Thank you for your service! It was great to read the story of your Bronco & the work you've put into it! I haven't done half as much with mine! Honestly, I think you kinda got a raw deal with the competition this month, because you were paired up against two really incredible rides. There's no doubt that you could have won it if you'd have slipped into a "regular" month. Please, please try this thing again when you're eligible! Great work and thanks for the entertainment. HCodi’s story about his tribulations getting her home to Cali after he bought her hooked me from the start. You’ve got a great wife to have tolerated that initial drive home and to be onboard with the build. Nothing like a great woman. allcruisen, 96bronco, thequietman and 1 others like this. Thank you so much @d_rock ! Thank you @White Dragon ! I am happy to hear that @EMO42 Keep at it! Thank you so much! @Ghosteh I am sure you will find the perfect second generation Bronco, and we will all be here waiting to hear about your restoration. You did an amazing job on your 96 Border Patrol Bronco! Thank you @Frank Lanzisera It was totally insane and she really deserves a lot of praise for her patience and support. I really feel so bad that I put her through all the stress. And our relationship suffered because of it. That is the reason I would probably be very careful if I had to do this again. Things were really rough, but somehow I made it in huge part thanks to this forum, so thank you all once again! Thank you @miesk5 . I would never have been able to do it without the help of this forum! And you have helped me many times, you are a fountain of knowledge! Bronco Info: 92 Bronco on 35” tires with solid axel swap with a Duff parts. HCodi you have a great looking rig and did a great job at presenting it. Your friend deserves a porterhouse and a beer. Train today for tomorrow's unknown! Thank you @Blue1551 He deserves way more than that. I wasn't sure what your budget was. 79BroncoSpringTx and HCodi like this. First off, @HCodi …..man whatta story and truck. Way to hang tough. @96bronco - I am probably gonna plagerize your front bumper. At least something close to it. I have an X9 winch that I gotta put somewhere. Sorry I tailed off but with the outage moving up (which is killin me. I have never been around such failures of leadership in my life)..I just couldn't devote the time. @Ghosteh - man thank you for the support and motivation. Like I said in my posts, we are never really done tinkering on our Bronco's. I have ordered a PRO-M 80mm MAF, a 200amp Alternator and I already mentioned the front bumper. I plan on having all this done when I leave for Moab. Y'all have a good day. I gotta get to work. 96bronco, 79BroncoSpringTx and HCodi like this. Great run guys. Thank you all for all the excellent Bronco-tainment! allcruisen, 79BroncoSpringTx, thequietman and 1 others like this. I second what @Ghosteh suggested. @thequietman please you have to run again for the FOTM, you have an amazing rig! And I know you have great stories yet to tell. Thank you @BikerPepe` !! And thank you as well for all the support even before the competition! Looking forward to seeing more from you in the future! @thequietman now that you know the amount of content that you need!!! @96bronco soo close but one thing is for sure, you probably have the nicest Bronco with the most strongest, Practical and useful upgrades of any out there! Plus they are all documented very well and I am sure will help many more Bronco maniacs with upgrading their Broncos. One might even go as far as saying your bronco is like the encyclopedia of upgrades. Thanks for sharing ypur storys again and thank you for continuing to carry the torch for the Boy Scouts of America even if they change their name!!! @HCodi nice run sir. 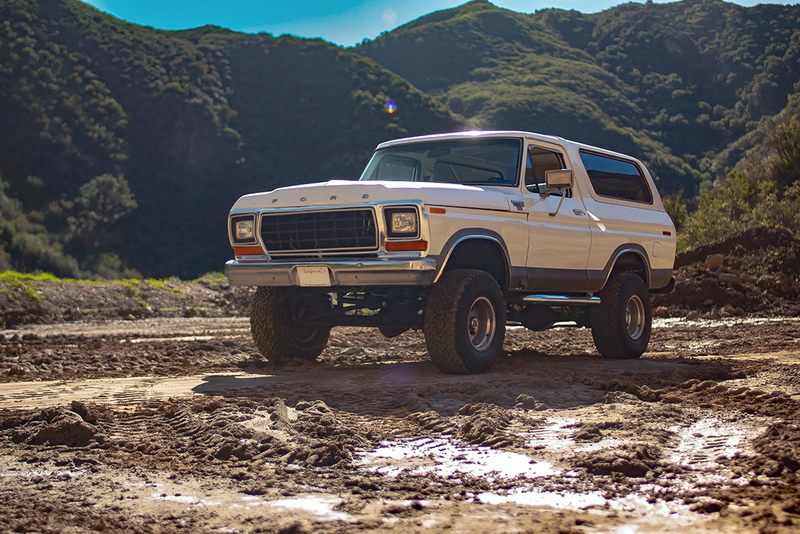 Not only have you rebuilt a beautiful Bronco but the clarity of your pictures just amplified how your Great Bronco looks. Congratulations sir. You have 9 months now before FOTY to gather more content to show us how you use it and what you built It to do! Again great job Beautiful BKO! 96bronco and HCodi like this. @96bronco soo close but one thing is for sure, you probably have the nicest Bronco with the most strongest, Practical and useful upgrades of any out there! Plus they are all documented very well and I am sure will help many more Bronco maniacs with upgrading their Broncos. One might even go as far as saying your bronco is like the encyclopedia of upgrades. Thanks for sharing your stories again and thank you for continuing to carry the torch for the Boy Scouts of America even if they change their name!!! Thank you @itwasFREE!!!! I second what you said about @96bronco so many upgrades and so well done!! Truly an encyclopedia on 1996 Broncos! So much pressure now for the FOTY! I hope I will be able to live up to the expectations! Sorry for the slow reply, I was out playing this weekend. Congrats on FOTM HCodi! As I said earlier great job on the restoration your truck looks great! Thanks to everyone for the nice comments, much appreciated. joshbronco, itwasFREE!!!! and HCodi like this. Congrats @HCodi on the win! You're doing a fine job bringing your 78 back to life. Keep up the good work! Well done @96bronco ! You have a fine rig there with great family history. Thanks for the good show!